Mother's Day was just a few days ago so that means we were all busy showing our appreciation for the woman we popped out of. Yes, Mothers Day is upon us and I figured what better way to celebrate than to watch a movie... with a comedian... while he made fun of it. That's right, I went and saw Doug Benson Movie Interruption for Mrs. Doubtfire and it is undoubtedly one of the most ridiculous experiences I've ever had. This took place at the Alamo Drafthouse in Littleton and damn does that theater deliver. Reserved seating and a strict no texting/cell phones policy. Not to mention the fact that they don't let people in late. This is the ultimate movie fan playhouse in regards to forcing people to respect theater etiquette and in this day and age, that is a valuable thing. If you've never been to an Alamo before, they allow drinking in the theater and even have a waiter for you throughout the duration. It's the most amazing thing ever. Needless to say, several beers and treats were ordered throughout the course of the concert and it's the only way a movie should be watched in theaters. At first I thought that the various trailers and videos being shown before the show were chosen by Doug himself but after I got a little more acquainted with the theater, I realized that it's likely their own choices which makes it even more awesome. The previews for Samurai Cop and Showgirls had me nearly falling out of my seat. Samurai Cop will be added to my download/netflix queue immediately and if you haven't seen the trailer, youtube it. Don't even get me started on all the videos straight out of the 90's that played leading up to that. Pure insanity and I loved every second of it. I was actually pretty surprised at how sober Doug seemed when he came out. Not sure if it's just because he's used to being high all the time or what but he was an absolute professional and totally commanded the crowd. He had three comedian friends join him for the movie interruption but dammit if I don't know any of their names. No one big. One of the guys was in Doug's movie Super High Me and The Greatest Movie Ever Rolled. He was Doug's opening act who doesn't smoke weed and becomes increasingly obnoxious. Yeah, I'd say that pretty much covers the role that he played for this interruption. Randomly chiming in with loud noises and obvious remarks. The other two said all of ten words the entire time so I'm not sure what to talk about with them. They were... nice? The real star of the show was obviously Doug Benson. Dear god is that man hilarious. There would be long stretches without them saying anything but when they did, it was always Doug with a quippy one-liner that tore the house down. I guess I never really viewed Benson as being nearly as quick and witty as he actually is. His image has simplified him down to just a stoner comic but he's a lot more than that and these movie interruptions are a good showcase of that. Before this I didn't really hold Mrs. Doubtfire in such low regard. In fact, I quite liked it as a kid and, while I rolled my eyes, I wasn't too upset by the fact that they announced a sequel. Now I'm upset. This film is absolutely terrible. The entirety of this film is just Robin Williams doing wacky voices and being in situations that would never, ever happen. I like Williams but dear god does he just go overboard here. He needs to be reigned in, in order to give a next level performance and this was most certainly not that. Though I guess this film has given us the classic "Whyyy hellooo" (which was quite prominent throughout the interruption) so it's not all a wash. I can't recommend Doug Benson Movie Interruption enough. I honestly don't think there's a single film that wouldn't be enjoyable with Doug's ridiculous commentary over it. I wish that there would have been a little more talking but I think that they just got lost in the movie sometimes and forgot that they were supposed to be talking. Either way, if you live in a big city where one of these is taking place, do yourself a favor and go to it. 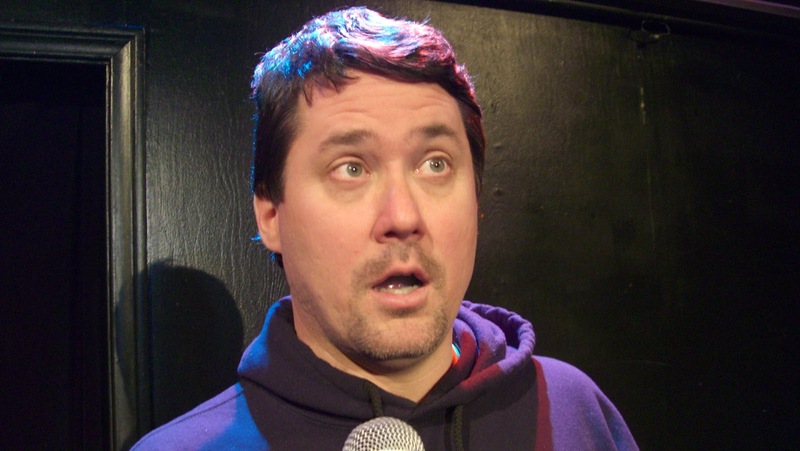 Doesn't matter if stoner humor doesn't appeal to you because that's not what this is, this is just Doug Benson going to town on bad movies with a microphone. Doesn't get much more entertaining than that.